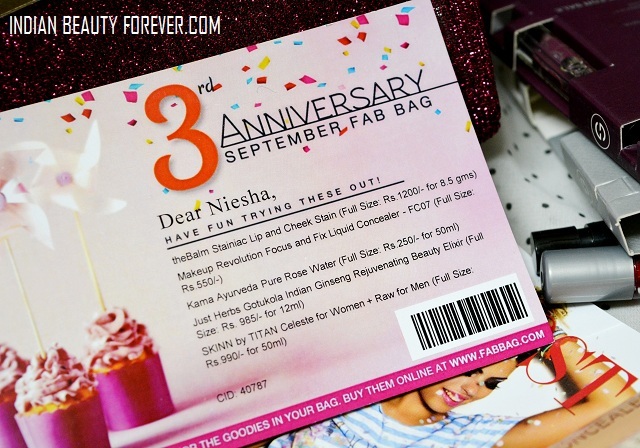 September 2015 marks the third anniversary of Fab bag. 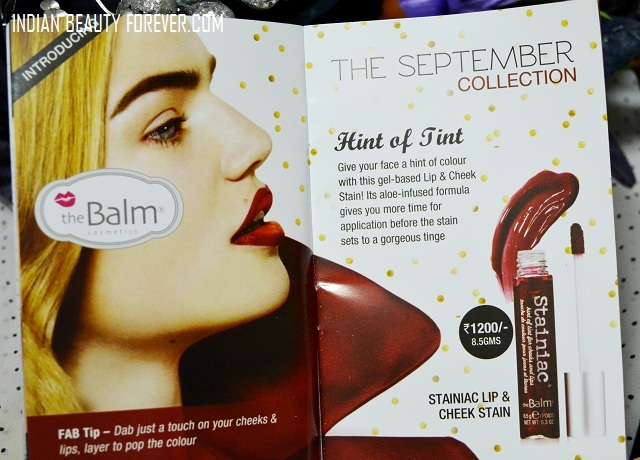 Fab bag started as vellvette box in September 2012 and was the first ever beauty sample service box. I subscribed for that, I still remember. So, this month’s bag is a sparking deep wine red colored one which is stunning and I would love to flaunt this may be for a party or event. Isn't that beautiful!! :) By the way dearies this is going to be a picture heavy post. So, let’s check out what this bag comprises of. 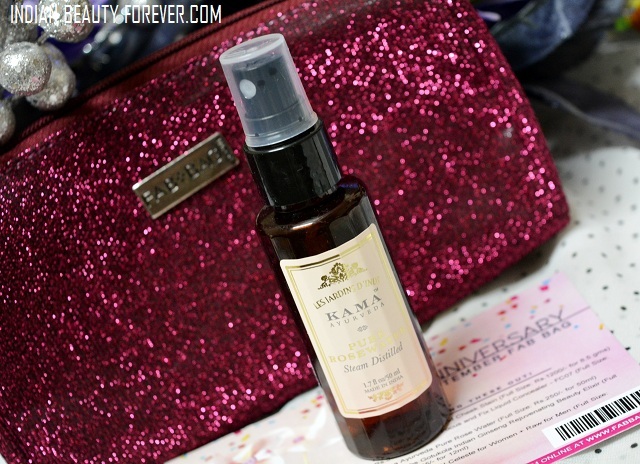 This is a pure rose water from Kama Ayurveda. I like their products and this is a pure rose water. so, I am going to definitely use this. I liked that this bears a pump dispenser over the top. So, easy peasy to use. Right? 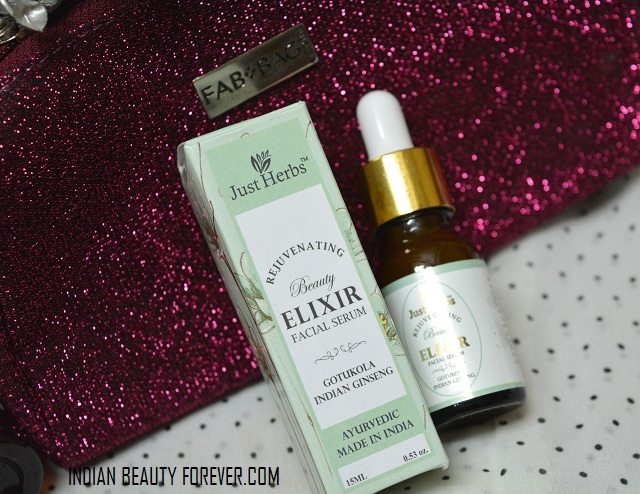 I got 4-5 Just Herbs Products (I had won the Fab Bag Red carpet contest) and this facial serum is packed with natural extracts of lots of herbs. This has some oils like wheat germ oil etc hence I am going to give this to my mum who have got very dry skin, I am sure she will love it. 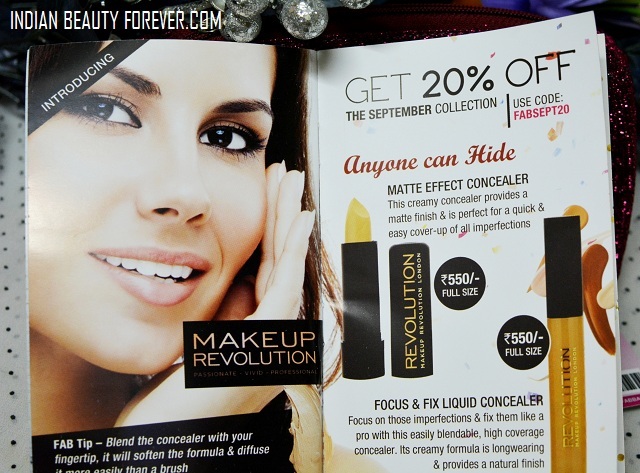 This is my first makeup revolution product and it’s a concealer. I don’t need concealer that much, No I am not saying my skin is perfect but it’s just that I don’t like to use too much products just some BB cream or foundation is enough for base. But I liked that this can be used over the eyes as an eye base. 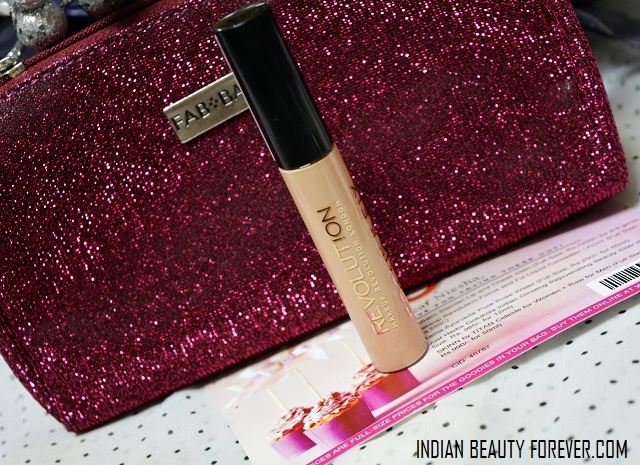 This is a full sized product that cost 650 rupees. 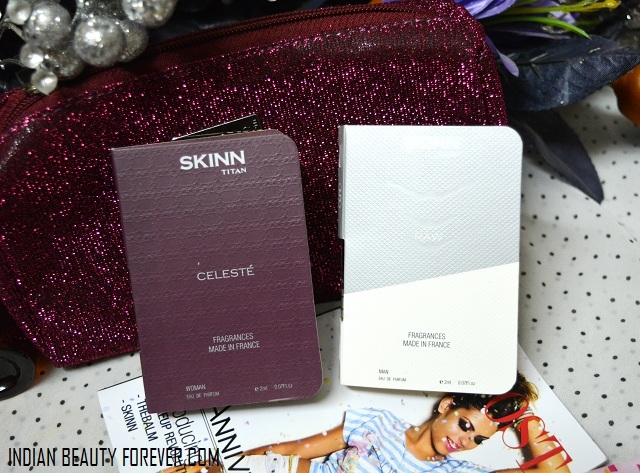 These are 2 The SKINN fragrance samples i.e. Raw for men and Celeste for women. This month’s bag was extremely good and total value for money. 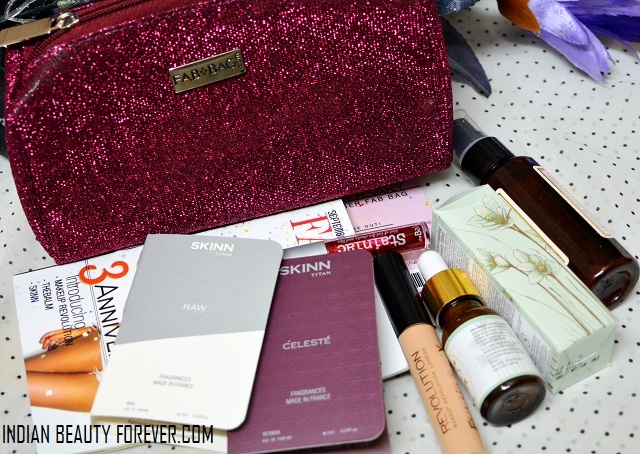 I loved all the products that are included in the bag. The variety was great and the samples are worth trying. 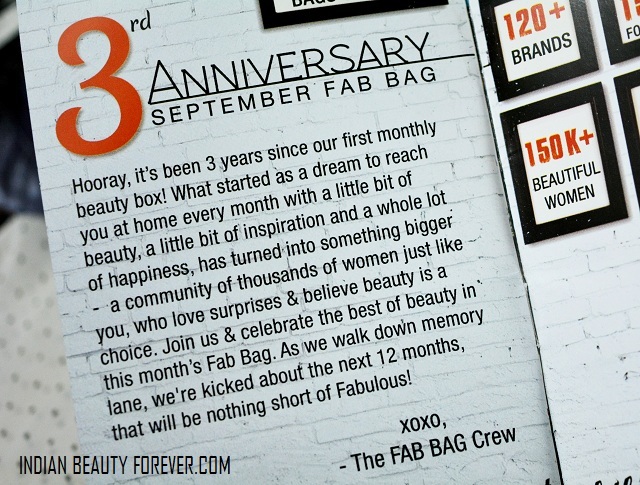 Even I loved this September fab bag. All the products are good. 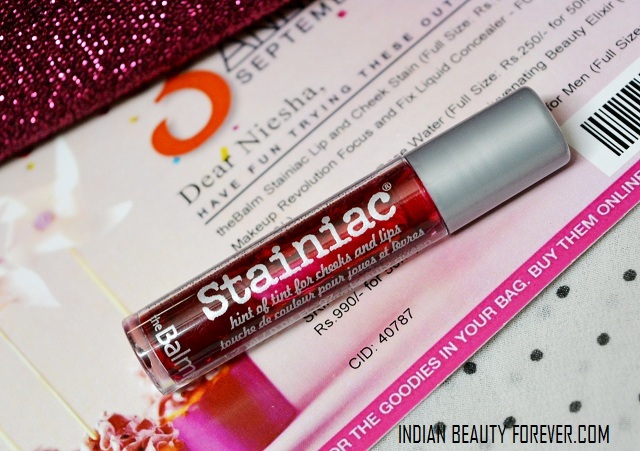 The Stainiac is one of my favourite cheek tints! I love it! I too loved this month's bag!!! Ooooo I love the design of this bag! 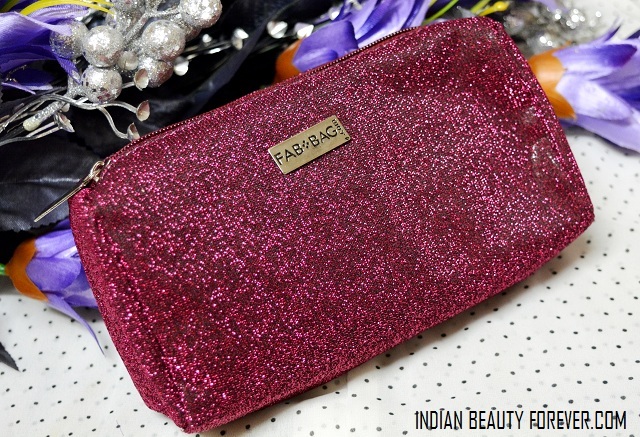 Love the shimmer and love the pink! 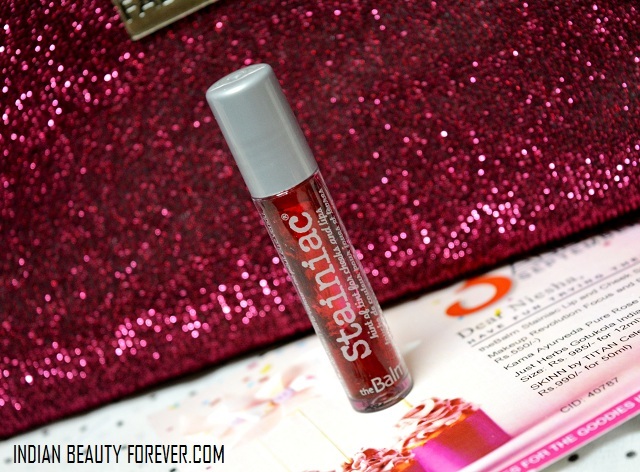 I've tried that lip stain before and it's one of the better traditional lipstains! Would love to have that rose water dear, I love rose scented everything! 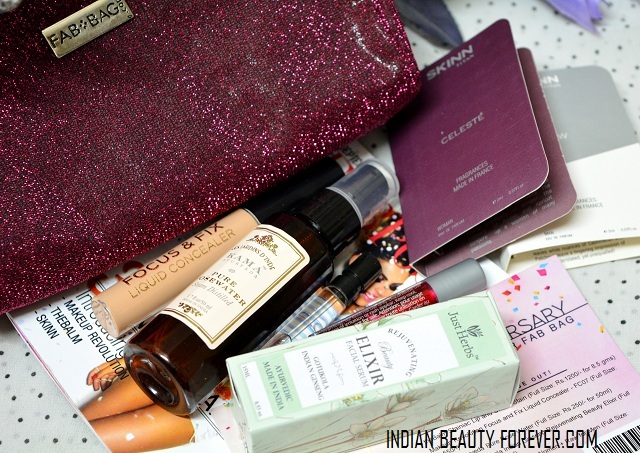 I love all the products in this month bag.